DDT was introduced during WWII to protect our troops from the mosquito-borne disease malaria. It is still being used selectively in some tropical countries. Aldo Leopold published his landmark book, A Sand County Almanac, calling for a “land ethic” connecting people and nature. So I thought it would be fitting to mention this year the Wisconsin Conservation Hall of Fame will be inducting on May 13, 2019, a woman infamous for her stand on sustainable forestry. Her name was Aroline Schmitt. 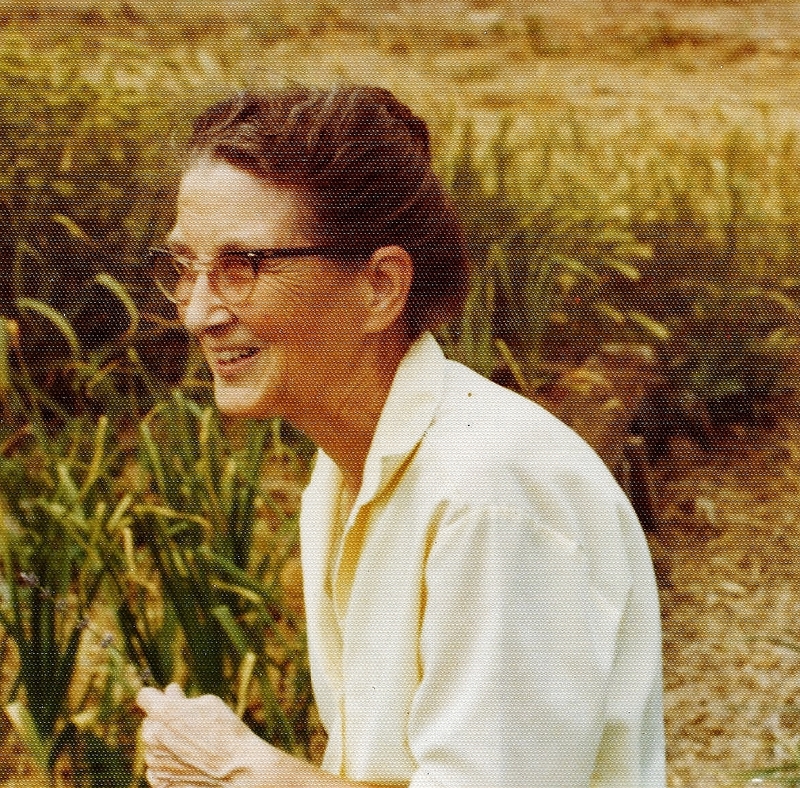 Aroline was a pioneering woman and citizen conservationist, who worked in a man’s world during the 1930-1960s. She advanced sustainable forestry and promoted fledgling conservation organizations and initiatives in Wisconsin and the nation. She helped organize and led the Citizens Natural Resources Association, which was the leading organization involved with banning DDT in Wisconsin. She was involved with the Wisconsin Garden Club Federation in many capacities, including chairing the conservation committee and directing Junior Garden Clubs. Gifford Pinchot, the Father of Forestry, persuaded Aroline to go to work for the US Forest Service as a timber cruiser during Word War II. “She traveled all over the country, and Alaska, and cruised timber. She worked in the woods. It was her job to help set aside forests for the war. She was all over the country, all the time,” said her daughter. The travel also took its toll on Schmitt’s health. “She used to travel on troop trains during the war. Only the soldiers could sit down. She would stand up all the way home, a lot of times through the night and into the day,” her daughter said. She continued to work for the US Forest Service in various capacities after the war, Roberts said. Newspaper clippings in the Wisconsin Historical Society collection note Schmitt was called upon to help set up conservation departments in various states and formulate plans for forest management and control. She was involved in this professional activity even though she had no formal training or degree in forestry. Trained as a nurse, she got her love of forestry from her lumber baron grandfather and her mother. Her mother was a botanist, and Aroline learned a basic appreciation and love of the fields and forests from her as a child growing up in the forests of Maine. A persuasive speaker and writer, Aroline advocated for strong natural resources policy and traveled the State to participant in important meetings and legislative hearings. She worked arm-in-arm with other Wisconsin conservation heroes including Aldo Leopold, William Aberg, and Wilhelmine La Budde. Schmitt played a pivotal role in protecting the Flambeau River State Forest and its old growth hemlock-hardwood forests, and in the transfer of forested lands to the Wisconsin Conservation Commission (now WDNR). She also helped protect the Menominee Tribal Forest by lobbying for the rights of the Menominee Indians during a tense battle over termination of the tribe’s reservation status in the 1950s and 60s, and served as a consultant to the tribe until 1971. 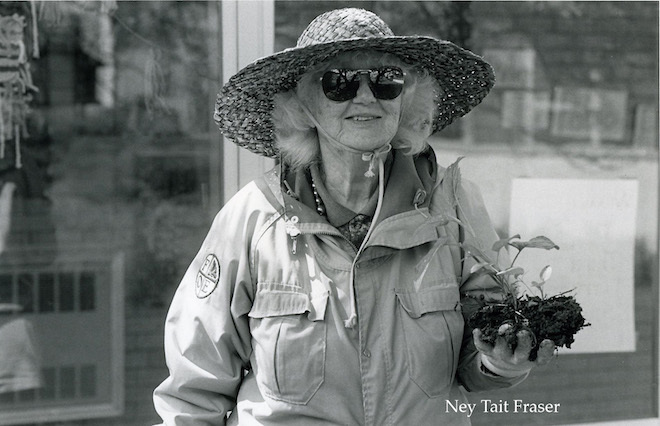 She helped establish several conservation facilities in Wisconsin, including the educational program Trees for Tomorrow and the US Forest Service’s Rhinelander Experimental Forest-Northern Research Center. She also taught correspondence forestry classes on school forestry for the Michigan Extension Service. Aroline received awards and recognition for her knowledge, tenacity and dedication. Despite health challenges for much of her life, Aroline Schmitt fought with determination and charisma to advance major conservation policies affecting Wisconsin’s natural heritage and America’s sustainable forestry practices. Other Wisconsin heroes to be inducted with Aroline are UW-Madison Professor Scott Craven who is a frequent Wisconsin Public Radio guest on wildlife and Don L Johnson who was a prolific outdoors writer for the Milwaukee-Sentinel for a variety of environmental causes. The ceremony and all activities related to the induction will be held on April 13, 2019 at the Atrium in SentryWorld in Stevens Point. The public is invited. A coffee reception will be held at 12:30 p.m. prior to the 2:oo p.m. Induction Ceremony. Following the ceremony, there will be a dinner at 4:30 p.m. The Induction Ceremony and Coffee Reception are free and open to the public. Reservations for dinner ($25 per person) may be made online or by calling Schmeeckle Reserve at 715-346-4992. In keeping with the observance of Women’s History Month, BirdWatchingDaily magazine carried an article on Lorrie Otto this month, authored by our mutual friend Ney Tate Fraser. The national native plant educational organization Wild Ones Natural Landscapers is based on Lorrie’s philosophy. 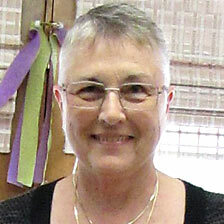 It featured the story of Lorrie’s and others’ fight to ban DDT in Lorrie’s own words. It’s a great read! If you’ve ever had the privilege to meet Lorrie, you know what I mean. Her infectious smile, her positive attitude, her determination — it’s all here in this article. Enjoy!